After a sharp downturn in 2017, EU imports of tropical logs recovered some lost ground in 2018 but were still at historically very low levels. Imports of 111,700 MT in 2018 were 11% greater than the previous year. 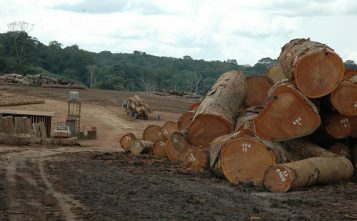 The value of tropical logs imported by the EU also increased, by 5% to €55.7 million. As for sawnwood, EU imports of tropical logs picked up pace in the second half of 2018 after a slow start to the year. 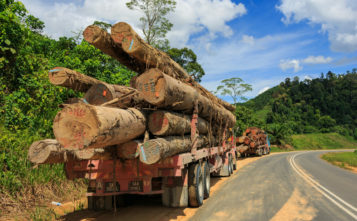 EU imports of tropical logs increased from Congo, the leading supplier, rising 7% to 29,600 MT in 2018. There was also a significant increase in EU log imports from DRC (+20% to 21,100 MT), CAR (+78% to 21,000 MT), Liberia (+69% to 5,500 MT), and Guyana (+56% to 1,300 MT). In total, Portugal imported 19,400 MT of tropical logs in 2018, 2% more than the previous year. Italy’s imports also increased, by 3% to 10,400 MT in 2018.